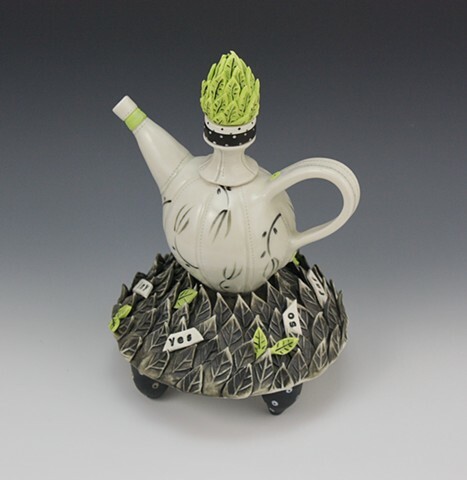 10 x 7 x 6"
I love to play around with the bases and the lids of teapots, tops and toes. Adding lots of textured leaves to this base gave me the opportunity to add some text to the piece, which I love to use for contrast and the of fun of being able to "read" the piece. Most of the text is nonsensical, unless you want it to be otherwise. Up to you.